The Catalyst 13.12 WHQL for Windows and Linux drivers are "basically... the WHQL version of the 13.11 Beta V9.5 drivers," according to AMD's @CatalystCreator. So if you have those installed you're good to go already. 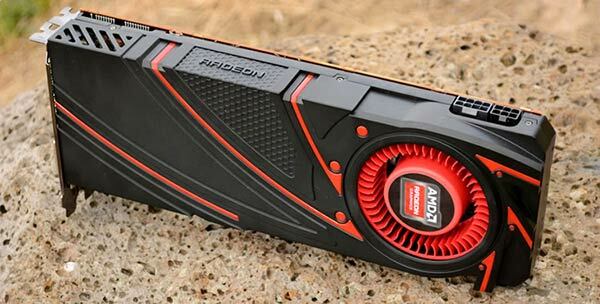 As you would expect, the new drivers offer support for AMD's latest range of graphics cards including the AMD Radeon R9 290, 280, and 270 Series and AMD Radeon R7 260, 250, and 240 Series. Some of the most important improvements you might see with this driver set is the AMD CrossFire frame pacing tech. This should even out framerates in your CrossFire setup to ensure smoother gameplay. Frame pacing is set globally in the Catalyst Control Centre or on a per application basis. In related improvements for CrossFire configuration owners the following games have improved CrossFire performance scaling; Call of Duty: Ghosts (multiplayer component), Splinter Cell Blacklist, Saints Row 4 and Metro Last Light. AMD informs us that there are new Enduro profiles for several new AAA games including; XCOM: Enemy Unknown, Need for Speed Rivals, Total War​: Rome 2, Battlefield 4, Saints Row 4, Splinter Cell Blacklist and FIFA 14. Enduro technology is especially relevant to users of laptops with built in AMD GPUs as it "is designed to unlock the full potential of your laptop’s performance while maximizing battery life". Also on systems with AMD Enduro crashing problems in Battlefield 4 on Windows 8 should be resolved. Got a mail about this from AMD and will probably upgrade despite not being on R series card, not using a laptop nor running CrossFire (although I'm tempted to the latter when/if I can find a card that'll play nice with my factory-OC'd XFX 7970). As such, don't think the updates are that relevant, but it'll be interesting to see if the 3DMark figures are higher on the new drivers. does this driver fix the problem with bonaire based GPU's periodically flicker-refreshing the screen when it is in idle (i.e. not full-screen 3D rendering)? The driver is broken, doesn't work with my 5830, Resident Evil 6 crashes on load and shutter in menus, i haven't tried other games though. I reverted on 13.9 and everything is nice now, wtf, AMD?? ?